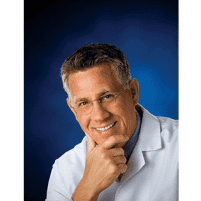 Heel Pain Specialist - Fishers, IN & Anderson, IN: Lawrence E. Lloyd, DPM, FACFAS: Board Certified Podiatrist: Lloyd Podiatry Group, Inc. Your heels are the largest and most durable bones in your feet, but because they’re typically the first part of your foot to hit the ground with every step you take, injuries are quite common. If you’re experiencing heel pain, board-certified podiatrist Lawrence E. Lloyd, DPM, FACFAS, of Lloyd Podiatry Group, Inc., can help. Dr. Lloyd and his skilled team offer comprehensive heel pain care in the practice’s Anderson and Fishers, Indiana, locations. Book your exam online or call either office directly. While less common, sometimes heel pain stems from bone tumors. Since heel pain can certainly worsen and even be a warning sign of a serious issue, have it evaluated as soon as possible. You also need to have your feet evaluated if your heel pain is so severe, you can’t point or flex your feet comfortably. In most cases, combining conservative therapies should provide you with effective relief from heel pain, while also allowing your injury to heal. Sometimes, however, surgery is needed. Because Dr. Lloyd is a board-certified podiatrist with extensive experience in minimally invasive procedures, you can expect a quicker recovery after your foot surgery. Schedule your heel pain evaluation at Lloyd Podiatry Group today. Click the online booking feature or call your nearest location.